Executive Summary: TSplus is happily closing 2017, rich of improvements and technological advances. The latest releases of the best Remote Desktop software and alternative to Citrix focused on optimizing and simplifying the users’ experience. This 11.10 version is a major update, taking a new step forward a greater customization of the TSplus experience to keep its customers satisfied. 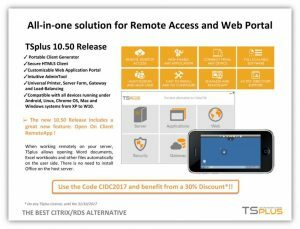 Continue reading Announcing the New TSplus 11.10 Release For the Upcoming Year 2018 at Best Citrix/TSE & RDS alternative - TSplus Blog. TSplus implemented major innovations for Remote Desktop experience in 2017. Just like 2016 brought an important novelty residing in the Farm Manager feature for TSplus Enterprise Editions, 2017 introduced many nice enhancements. Today, TSplus is able to guarantee the most secure Remote Desktop connections with for example the protection of users’ credentials, the diversity of identification and the powerful security add-ons available for all editions. A higher speed and efficiency can also be noticed thanks to a reduction of the CPU consumption and a larger memory size. This progress makes it easy to handle a large number of concurrent TSplus’ users on a Windows system. The file-transfer feature, allowing to copy/paste a large number of files directly from the Server to the Client’s folders, includes better design, handling and memory size to facilitate the navigation on mobile devices. 2017 most important innovation with the 10.10 TSplus release, completed with the 10.20, 10.30 and 10.40 releases, was the integration of a completely new Universal Printer. The code, as well as the driver, the PDF reader and the printing features were reviewed to make this great tool faster and even more reliable. With this new release, the installing/uninstalling process has been automated and simplified. The printing process has been enhanced, becoming much quicker and offering advanced options to personalize the format or the scale of the document/picture to print. TSplus 10.50 release brought a great new feature to change remote users’ lives using Generated Client: the RemoteApp On Client. 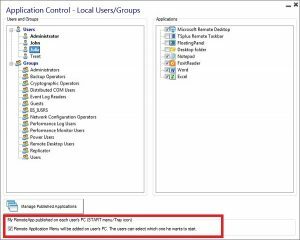 This option, when enabled by the Administrator, is a new way to display the Applications assigned to an user. The latter then has the possibility to see all his applications listed in his START menu or as SISTRAY icons, exactly like local apps. He can start them as RemoteApps to enjoy a Remote Access without opening any Generated Client. The new TSplus 11.10 Release is a MAJOR update. It fixes most known issues of the previous 10.50 Release, and goes even further into simplification and optimization of the Remote Desktop experience. The new Application Panel settings tool offers more display options. This allows the user to publish its applications according to its favorite device format. It is now possible to adjust the number and organize the Floating Panel displayed applications, exactly like on the Web Application Portal, but within one single session. For instance, align six Apps in one column. Thus, the Application Panel size is optimized and easily adapts to the users’ screen. TSplus 11.10 introduces a new tile in the AdminTool: the “Printer Management” feature gathers all the required tools to install, uninstall, display and handle the Universal Printer options in one place. This will greatly facilitate the job of RDS Administrators, providing an easy way to anticipate and handle the Universal Printer’s operations. One TSplus’ objective is to ensure the best Remote Desktop experience on mobile devices. In this purpose, the kernel of the TSplus HTML5 client has been dramatically enhanced to deliver a better behavior on tablets and Smartphones. As a great example, the user can enjoy a very handy mini-mouse for an easier selection of buttons and windows. The keyboard was improved as well, and can now be automatically selected with a simple right-click and displayed on the chosen input field. Download and try TSplus 11.10 right now and enjoy 15 days of free trial! TSplus International worked over a decade to build the best Citrix alternative and its team is at the top of its game. TSplus has developed worldwide class solutions to web-enable any Windows application. TSplus offers the most advanced solutions for Cloud Computing, Web Portal, and Application Publishing services. Their global solutions range from multinational to SMBs. From HR to Finance or IT, see how quickly you can web enable instantly your Windows apps for collaborating, connecting, and increasing productivity. For additional information, visit /terminalserviceplus.com or send an e-mail to floriane.mer@terminalserviceplus.com. Executive Summary: TSplus Remote Desktop and Application Delivery offers an ultimate choice for businesses to scale up resources and increase productivity levels. With TSplus, employees can access their desktop or applications from anywhere, any device, at any time. The last 10.50 release introduces a nice new way to publish remote applications on the client side: the “RemoteApp On client” feature. 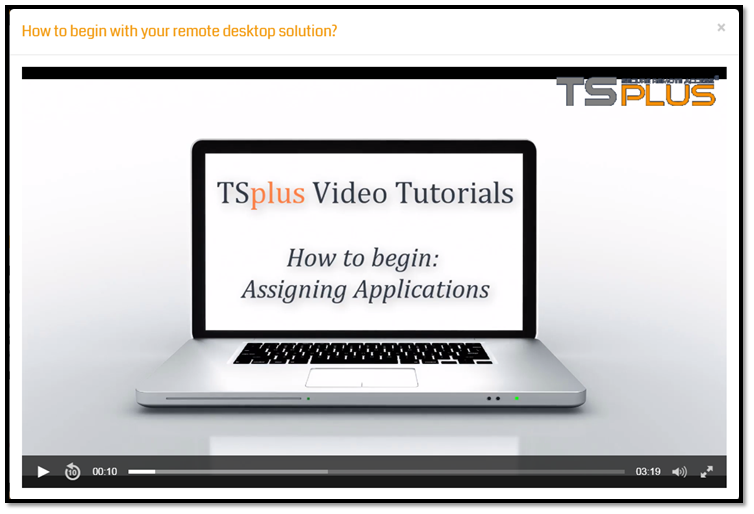 Continue reading Easily Assign Applications to Remote Users with TSplus Remote Desktop Service at Best Citrix/TSE & RDS alternative - TSplus Blog. The flexibility of working from a remote desktop increases productivity while saving expenses on infrastructure. By allowing multiple applications to run on a single machine, they become device-independent and the communication of data between heterogeneous networks becomes possible. TSplus is the best alternative to Citrix for Remote Desktop and Application Publishing. Easy to install and to use, it can provide users with access to their applications in two different ways; with a Generated Client or from inside any chosen Web Browser (Firefox, Chrome, IE…). With a powerful and intuitive RDP server such as TSplus Web Mobile, Windows-based applications can be deployed in a snap and accessed with any mobile device connected to the Internet. Moreover, TSplus features three displays mode for the Generated Client: the Remote client, the RemoteApp client, and the Seamless client. The Web Client offers also two options: the HTML5 or the RemoteApp. TSplus Application Delivery facilitates the centralized management of software apps. From a single AdminTool, the Administrator is able to monitor and manage all applications intuitively. He can easily create new users accounts with personalized logon and passwords. The TSplus AdminTool makes it easy to manage, add and remove the published applications among other settings such as renaming the App. It is even possible to add a command line action to set any extra parameters wished. The Application Publishing with TSplus provides a wide range of display options: it can be launched minimized, maximized, assigned to all users, one by one or only to some group of users. The AdminTool also includes a “test” feature to be sure that the application is correctly published before assigning it. TSplus 10.50 release introduces a new “Open On Client” option that runs with RemoteApp feature. 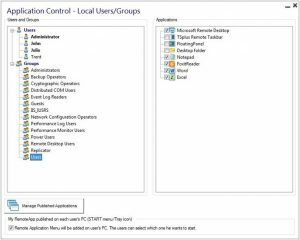 This amazing functionality allows the client who opens a remote session with a Generated Client to see a list of its assigned applications on the START menu or with a STRAY icon. As so, the user can start any of its applications with just one click; even when offline! Check the documentation and the new tutorial video on TSplus website. By choosing a powerful Remote Access system like TSplus, Administrators can easily create virtual environments per user and manage Application Delivery in a simple and effective way. With several years of proven track record and thousands of satisfied clients, TSplus offers the right solution for your visualization and Application Delivery needs. Moreover, this TSplus system is affordable and easy-to-use. Download TSplus free trial to deliver Remote Desktops and Applications from a central location, providing continuous availability, resource-based load balancing and complete end-to-end network transparency for Administrators. TSplus International worked over a decade to build the best Citrix alternative and its team is at the top of its game. TSplus has developed worldwide class solutions to web-enable any Windows application. TSplus offers the most advanced solutions for Cloud Computing, Web Portal, and Application Publishing services. Their global solutions range from multinational to SMBs. From HR to Finance or IT, see how quickly you can web enable instantly your Windows apps for collaborating, connecting, and increasing productivity. For additional information, visit http://terminalserviceplus.com or send an e-mail to floriane.mer@terminalserviceplus.com. Executive Summary: A month ago, TSplus released the 10.50 version of the most complete and easy-to-use alternative to Citrix for remote access, client generation, application publishing, and much more. TSplus is offered for half of Citrix’ price and integrates innovative solutions to provide a bunch of exclusive features. Continue reading RemoteApp on Client: TSplus Innovates to Enhance Users’ Experience at Best Citrix/TSE & RDS alternative - TSplus Blog. Executive Summary: A month ago, TSplus released the 10.50 version of the most complete and easy-to-use alternative to Citrix for remote access, client generation, application publishing, and much more. TSplus is offered for half of Citrix’ price and integrates innovative solutions to provide a bunch of exclusive features. From now on, TSplus users will be able to use the RemoteApp On Client, a smart way to display remote applications directly on the user’s desktop. For years, the TSplus Portable Client generation has been the usual method to start applications on the Client’ side. The 10.50 release introduces a new method that will change the life of TSplus’ users: the RemoteApp On Client. It is a new way for administrators to deliver remote applications (referred to as “RemoteApps“) to their users. Specifically, RemoteApp On Client enables a straightforward publishing process to deliver Servers’ applications to users: it allows RemoteApp programs to run side-by-side with local ones. Indeed, it enables integration with a custom “launcher” application that makes it simple to find and to start RemoteApp programs. 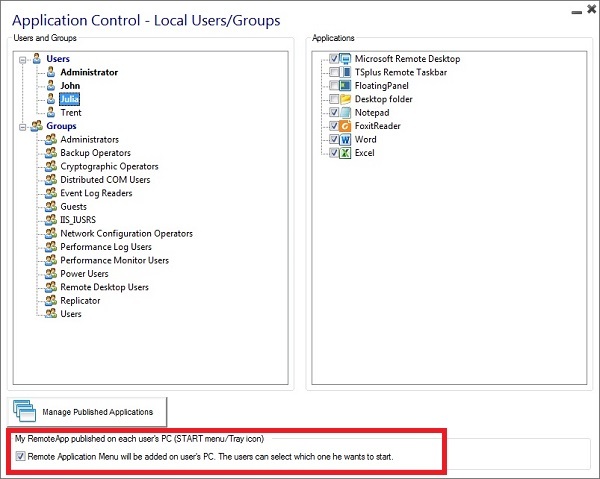 The deployment of this new amazing TSplus’ capability is very simple: the Administrator has to download the TSplus 10.50 release and to allow the “RemoteApp On Client” option with the AdminTool before generating new connection clients. It can be easily enabled/disabled at the bottom of the “Application Control” tile. The feature will be activated after the first launch of the generated client. Then, the user will always be able to start his assigned Applications directly as RemoteApp, by selecting one of them in the list. Indeed, this feature is still available after a reboot. This eliminates the need to use (and keep) the generated client afterward. No need either to first assign the Taskbar or Floating Panel to get the list of assigned apps displayed in the START menu. With the Applications menu, every application opens in a new session. However, this new tool consumes very few system resources: TSplus licensing control only counts ONE session. It has always been this way for customers who are using the “Web Application Portal”. Besides, TSplus is using very little amount of memory “per session”. It is the perfect system for users connecting to a single server. 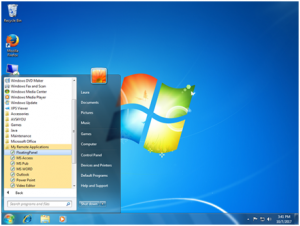 However, in the case of multiple connection clients to open session, it is recommended to keep the usual RemoteApp feature as only the values of the last connection are saved. The RemoteApp On Client is, of course, also compatible with the Web Portal RemoteApp client. To learn more about this specific feature, read the TSplus online documentation. TSplus 10.50 is a major Update Release and it is highly recommended to download and apply it for an optimal Remote Desktop experience. TSplus International worked over a decade to build the best Citrix alternative and its team is at the top of its game. TSplus has developed worldwide class solutions to web-enable any Windows application. TSplus offers the most advanced solutions for Cloud Computing, Web Portal, and Application Publishing services. Their global solutions range from multinationals to SMBs. From HR to Finance or IT, see how quickly you can instantly web-enable your Windows apps for collaborating, connecting, and increasing productivity. For additional information, visit http://terminalserviceplus.com or send an e-mail to floriane.mer@terminalserviceplus.com. Executive Summary: Authentication is at the center of, and the very essence of security. High profile breaches continue to generate shocking headlines on an almost daily basis. Many of these breaches are carried out by attackers with the use of compromised credentials. Continue reading TSplus Integrates SAASPASS and Provides Multi-Factor Authentication at Best Citrix/TSE & RDS alternative - TSplus Blog. Executive Summary: Authentication is at the center of, and the very essence of security. High profile breaches continue to generate shocking headlines on an almost daily basis. Many of these breaches are carried out by attackers with the use of compromised credentials. By adding a multi-factor authentication requirement to TSplus policies, even attackers in possession of compromised credentials are hindered from gaining access to remote servers, devices, and applications. As more information moves to the cloud, the authentication process is the gate. Simple username/passwords are no longer sufficient for VPN Configurations, Server Network Access and On-premise applications. It is the whole system which needs to be air-gapped and protected physically from access. With hundreds of millions of identities and credentials stolen annually, now more than ever, IT teams have a more difficult job. They have the responsibility to ensure that users are who they say they are and that their credentials have not been compromised. For this reason, many are now turning to multi-factor authentication (MFA) or two-factor authentication (2FA) to reduce the risk of stolen passwords. Security is a major concern for TSplus, which uses Active Directory to authenticate users before allowing them to access any published application or Remote Desktop. The SAASPASS plug-in improves this level of Security. SAASPASS is the market reference for Multi- factor Authentication protocol and allows highly secure remote connections when combined with TSplus to efficiently prevent malicious people from stealing credentials and accessing sensitive data. SAASPASS is architected to be easily integrated into access systems like TSplus. As so, SAASPASS integration in TSplus’ Security Policies is a quick and straightforward process. 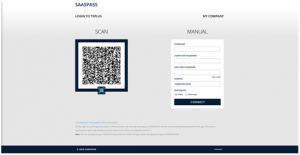 The only must pre-requisite is to download the SAASPASS App for mobile. With SAASPASS, two factors must always be present, sometimes three where additional passwords are still required. The application has the ability to retain two-factor authentication even when offline. 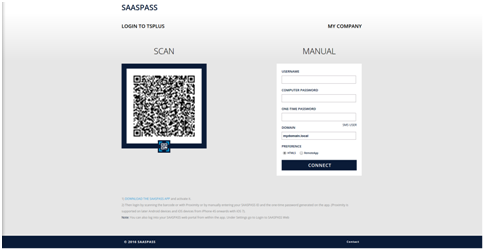 All the user has to do is to register his company name onto the admin portal at http://www.saaspass.com and follow the instructions recommended in TSplus/SAASPASS online documentation. Once all steps have been achieved, the user can log-in directly into TSPlus using SAASPASS! Keep Your Remote Networks Secure with TSplus and SAASPASS. TSplus International worked over a decade to build the best Citrix alternative and its team is at the top of its game. TSplus has developed worldwide class solutions to web-enable any Windows application. TSplus offers the most advanced solutions for Cloud Computing, Web Portal, and Application Publishing services. Their global solutions range from multinational to SMBs. From HR to Finance or IT, see how quickly you can web enable instantly your Windows apps for collaborating, connecting, and increasing productivity. For additional information, visit http://terminalserviceplus.com or send an e-mail to Omer Karatas, General Director at ok@saaspass.com. Executive Summary: TSplus has worked for a year to be able to offer its customers powerful additional tools for an optimal Remote Desktop experience. Server Genius is the new identity of “Reporting and Monitoring for RDP”, an easy and efficient reporting solution to setup on remote servers. Continue reading Monitoring and Reporting Add-on for TSplus Becomes Server Genius at Best Citrix/TSE & RDS alternative - TSplus Blog. Executive Summary: TSplus has worked for a year to be able to offer its customers powerful additional tools for an optimal Remote Desktop experience. Server Genius is the new identity of “Reporting and Monitoring for RDP”, an easy and efficient reporting solution to setup on remote servers. It monitors, records and analyzes users activity in every application and delivers enterprise-scale analytics in a compressed and searchable format. This brand-new name is a promise of further developments and outstanding enhancements. 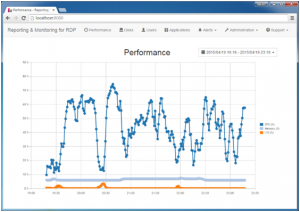 Server Genius replaces “Reporting and Monitoring for RDP” and provides the full features. It captures all user activity, from the login to the log out, taking place in an opened TSplus’ remote session. Thanks to this amazing tool, Administrators get a clear understanding of their Remote servers’ environments. Server Genius checks real-time Remote Desktop Session Host performance, including CPU, memory, network, and storage status. It measures bandwidth usage, brings critical information for anticipating network upgrades, and more. Installed applications and licenses are watched to detect the validity deadlines or the ones unused, to avoid penalties and to help decrease costs. Administrators have unlimited access to reports from anywhere, via the Server Genius‘ user-friendly web interface which is fully compatible with tablets and Smartphones. Easy to install, use and maintain, Server Genius is the easiest monitoring tool to setup on TSplus. Clear and intuitive reports design. It just works out of the box, and displays the most useful data extracted from the server. Server Genius protects against employee recklessness thanks to user’s activity monitoring. It allows auditing the remote access by recording actions in all opened sessions and all apps connected to the RDS server. It can be used to check activities per period, determinate the busiest hours, and track daily user activity. Server genius helps to find out the most frequently used and the most popular applications, as well as the total time users spend using a specific app. Server Genius analytics provide automatic awareness of IT security teams to any undesirable user activity and allow them to take immediate action to make it ceases. The software will generate customizable and real-time alerts regarding any sensitive, unusual, suspicious or malicious user activity occurring in a chosen date-range to send proactive warnings to security personnel. The result is a powerful solution for monitoring, analyzing, alerting and intervening in user-based threats. And it is sold at a very special price for TSplus’ customers: $275! The TSplus Development team is currently studying areas for improvement in order to deliver in 2018 an extended version of this professional reporting tool that guarantees the best remote desktop experience. 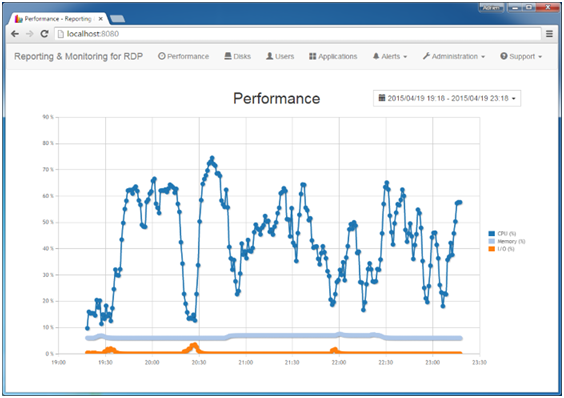 Monitor Remote Sessions at a glance and troubleshoot damaging issues faster. Stay aware of further developments, subscribe to TSplus’ newsletter! TSplus International worked over a decade to build the best Citrix alternative and its team is at the top of its game. TSplus has developed worldwide class solutions to web-enable any Windows application. TSplus offers the most advanced solutions for Cloud Computing, Web Portal, and Application Publishing services. Their global solutions range from multinational to SMBs. From HR to Finance or IT, see how quickly you can web enable instantly your Windows apps for collaborating, connecting, and increasing productivity. For additional information, visit www.terminalserviceplus.com or send an e-mail to floriane.mer@terminalserviceplus.com. Executive Summary: This year again, and for the second time, TSplus will participate into the International Conference gathering Clarion’s great network of Developers and partners. Despite the incapacity for TSplus to send representatives to the event which is happening this week from the 9th to 13th of October, the company is proud to be part of the Prize Donors. 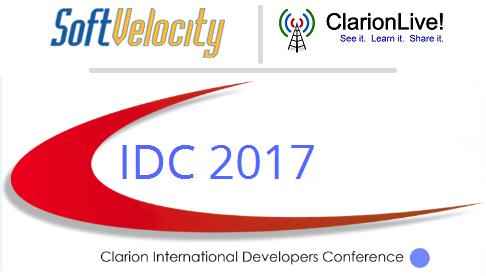 Continue reading Announcing TSplus Participation In Clarion International Developer Conference 2017 at Best Citrix/TSE & RDS alternative - TSplus Blog. Executive Summary: This year again, and for the second time, TSplus will participate into the International Conference gathering Clarion’s great network of Developers and partners. Despite the incapacity for TSplus to send representatives to the event which is happening this week from the 9th to 13th of October, the company is proud to be part of the Prize Donors. Exclusive discounts and promotional gifts have been prepared for the attendees. Soft Velocity and Clarion Live! combine advanced technologies and a worldwide community of IT experts to deliver smart applications and services for code generation, database creation, and a strong development support. TSplus has the great luck to be part of The Clarion developer community which is one of the best in the industry. Clarion programmers from around the world use the newsgroups to get help, and exchange ideas and techniques with other developers. TSplus has been one more time invited to participate in. Although it is impossible for the development team to be physically present at the Conference, TSplus is willing to be part of it as a Third Party Donor. The Remote Desktop company’s absence is due to its current intense activity to prepare the next upgraded release of the software, which will includes many changes and enhancements and additional tools. One 30% discount on any TSplus License, running until October the 31st, thanks to a temporary promotional purchasing Code. To know more about TSplus Remote Desktop and Application Publishing solutions, download and test the trial version for free. TSplus International worked over a decade to build the best Citrix alternative and its team is at the top of its game. TSplus has developed worldwide class solutions to web-enable any Windows application. TSplus offers the most advanced solutions for Cloud Computing, Web Portal, and Application Publishing services. Their global solutions range from multinational to SMBs. From HR to Finance or IT, see how quickly you can web enable instantly your Windows apps for collaborating, connecting, and increasing productivity. For additional information, visit www.terminalserviceplus.com or send an e-mail to floriane.mer@terminalserviceplus.com who will be pleased to answer you. Executive Summary: The New TSplus 10.50 is finally out and brings amazing enhancements! This upgraded release includes exclusive new features, developed within the last three months by the TSplus Technical team to ensure the best remote desktop experience. Because nothing is more important than the security and success of every TSplus customer. 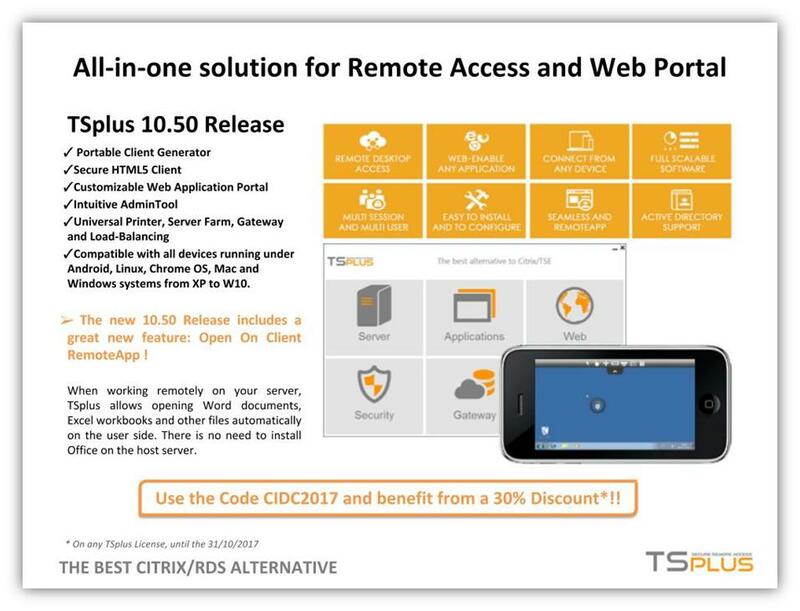 Continue reading Announcing TSplus 10.50 Release General Availability at Best Citrix/TSE & RDS alternative - TSplus Blog. Executive Summary: The New TSplus 10.50 is finally out and brings amazing enhancements! This upgraded release includes exclusive new features, developed within the last three months by the TSplus Technical team to ensure the best remote desktop experience. Because nothing is more important than the security and success of every TSplus customer. Discover the details of these changes. What ‘s New in TSplus? 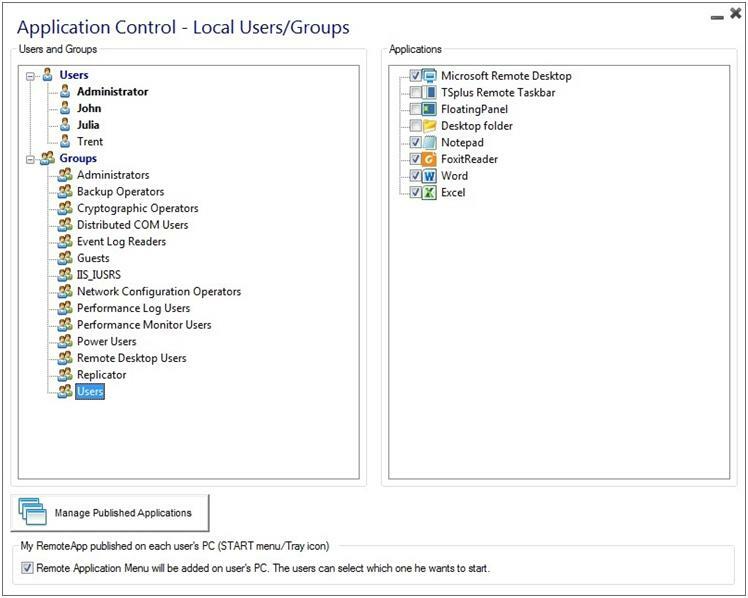 The TSplus Admin Tool now offers a new option for the Administrator to select: “My RemoteApp” allows the opening of every application as a unique RemoteApp on the client’s PC. The Client Generator and the AdminTool “Assign Application” tile have been changed to provide this great new feature: each user will see, in his START menu and within his SYTRAY icon, the list of his assigned applications. He will then be able to select within its “Local Menu” one of these applications and to start it as a RemoteApp. Thus, it eliminates the need for a generated client on the users’ side and enables the launching of a single application at a time. To activate this nice new feature the Administrator must generate new connection clients. Better handling and display of the File transfer by Drag/Drop between the client and the server, to a large number of files. Regarding large files transfer, the result can be predicted by the software as a warning to the user. Automatic renaming of new existing files. Optimization of the memory size and the CPU requirements in order to warrant a strong stability. New Design for the HTML5 Top Menu’s icons. This service removed about a year ago is now available again. The Security Essentials, an essential security package that focuses on keeping remote connections in a safe place for all TSplus users with three fundamental protective measures. It is a “must-have” for every TSplus Administrator, especially since it is sold at a very attractive price: only $49/server! The Ultimate Protection completes the Essentials Edition with two additional features intending to lock down RDS Servers and protect them against any breach that could lead an organization to a failure. It is the Premium solution to shield large environments, running on TSplus servers with multiple connections. This Edition can be currently bought online for a discounted price: $275/server for existing TSplus customers. As a result, the 10.50 AdminTool Advanced security tabs were transformed, to gather all Advanced Security Features and more into a unique great product. To learn more about RDS-Knight capabilities, watch this 4-minute video. Change of the logon process (logonsession.bin) to avoid the display of a File Explorer in some cases as for other crash bugs. This new version ensures better performances and shorter logon delay. Enhancement of the Universal Printer features for an optimized result, even in specific cases. Executive Summary: RDS-Knight is a powerful tool developed by TSplus to secure remote connections, monitor login failures, block prohibited or suspicious IPs and prevent unauthorized actions from malicious Remote Desktop users. The “Security Essentials” Edition is the performing yet affordable security toolbox that every RDS Administrator wishes for. 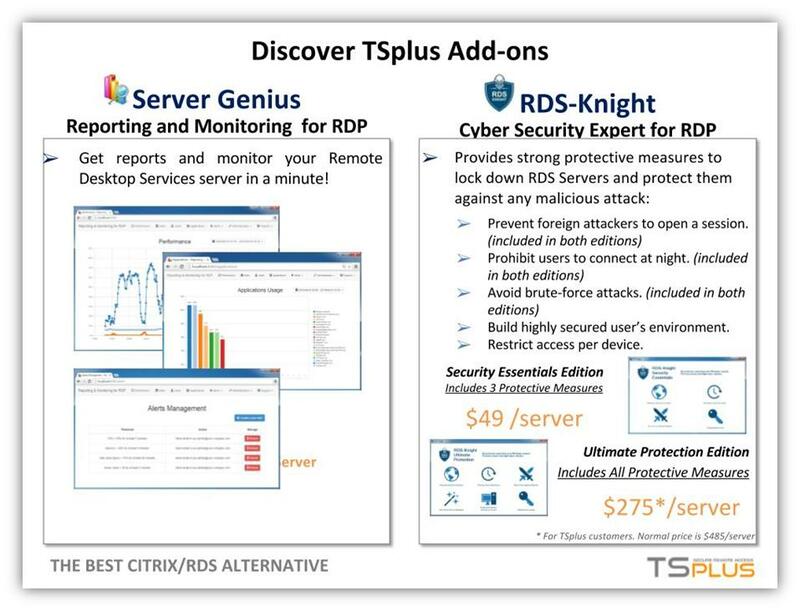 Continue reading TSplus presents its new Add-on to Secure Remote Desktop: RDS-Knight Security Essentials at Best Citrix/TSE & RDS alternative - TSplus Blog. A breach in Remote Desktop’s security can easily have massive and destructive consequences for a business as an attack could ultimately lead to business failure. Without the ability to secure their users’ RDS environment, companies will continue to suffer from undetected user-based threats for extended periods of time. Brute-Force Attacks Defender to block any malicious attempt to connect. In few clicks, the Administrator is able to shield the RDS server. RDS-Knight monitors failed logins and automatically blacklists the offending IP addresses. Homeland Protection to prevent undesirable connections from foreign countries. It simply restricts access to RDS servers based on the geographical location: only users with IPs coming from an area figuring in the “white list” are able to connect. Working Hours Restrictions to close the access to the server at night. In a snap, Administrators can specify the time slot when users are allowed to open sessions. Once a security rule is implemented, it automatically applies to all the users connected to the server. It is the efficient “turn-key” security solution that every RDS Administrator needs in order to protect Remote Access against hackers and robots. 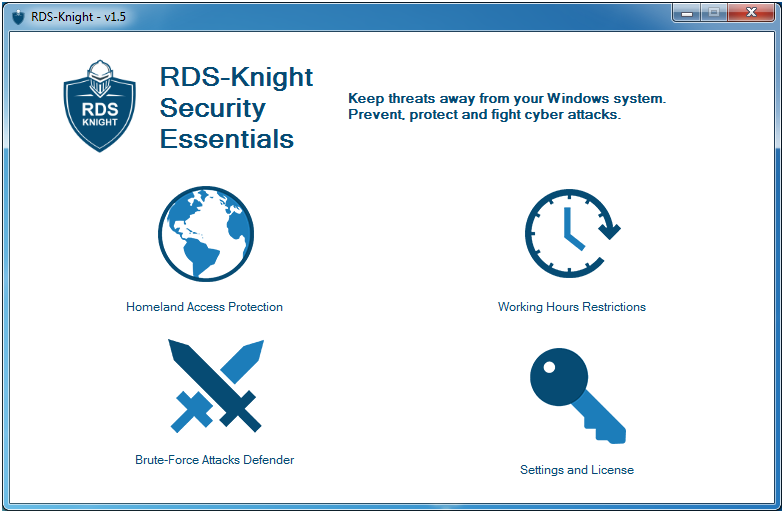 RDS-Knight Security Essentials Edition is generally available on TSplus Add-ons’ store page, for a very attractive price: 49$ per server! It is also possible to download and try for free the premium protection package offered with RDS-Knight “Ultimate Protection” Edition. Executive Summary: TSplus delivers best-in-class solutions for Remote Desktop services. When it comes to innovation, it is unstoppable. Scalability, performance, agility, security, and cost-effectiveness are some of the vital benefits offered by the TSplus system. The company strategy is to build trust with customers by motivating and aligning its teams with opportunities for growth, development, and success. Continue reading TSplus expands its products range and offers two new add-ons at Best Citrix/TSE & RDS alternative - TSplus Blog. Executive Summary: TSplus delivers best-in-class solutions for Remote Desktop services. When it comes to innovation, it is unstoppable. Scalability, performance, agility, security, and cost-effectiveness are some of the vital benefits offered by the TSplus system. The company strategy is to build trust with customers by motivating and aligning its teams with opportunities for growth, development, and success. Today, TSplus renews its products catalog and add two new optional tools to enhance the use of the Remote Desktop software. 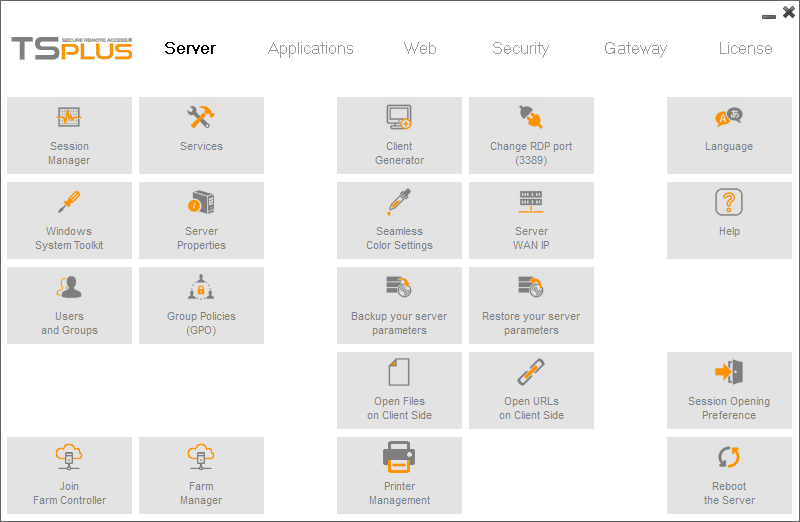 TSplus is proud to release Server Genius, an easy-to-install-and-to-use reporting solution to setup on remote servers. This smart tool monitors, records and analyzes the most useful information in every application and delivers enterprise-scale analytics in a compressed and searchable format. Set up in a minute, Server Genius gives facts and data about servers performance (CPU, Memory, I/O, Disks), applications usage and users activity to provide real-time alerts. 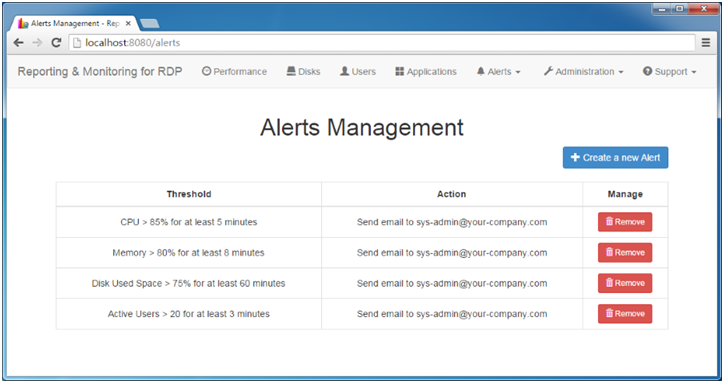 All changes and resources usage are tracked and the administrator gets automatic notifications for every suspicious event. Server Genius is generally available and downloadable for free on TSplus’ website. Nothing is more important than the security and success of every TSplus customer. That is why TSplus is happy to introduce its brand-new add-on RDS-Knight, designed to make the use of remote access in daily routine as safe as possible. Working Hours Restriction: prohibits users to connect at night. One-Click to Secure Desktop: provides highly secured user’s environment. End-Point Device Protection: restricts access per device. RDS-Knight is generally available and downloadable for free in its full version (Ultimate) on TSplus’ website. TSplus International worked over a decade to build the best Citrix alternative and its team is at the top of its game. TSplus has developed worldwide class solutions to web-enable any Windows application. TSplus offers the most advanced solutions for Cloud Computing, Web Portal, and Application Publishing services. Their global solutions range from multinational to SMBs. From HR to Finance or IT, see how quickly you can web enable instantly your Windows apps for collaborating, connecting, and increasing productivity. For additional information, visit https://terminalserviceplus.com or send an e-mail to floriane.mer@terminalserviceplus.com who will be pleased to answer you. Executive Summary: Rukshan Sanjeewa, Head of TSplus India and Olivier Benoit, Head of the Headquarters, are honored to be participating for the very first time in the Summit for Networking Channels actors in the country. The event is organized by NCN & NSS and takes place today, the 15th of September, in New Delhi. 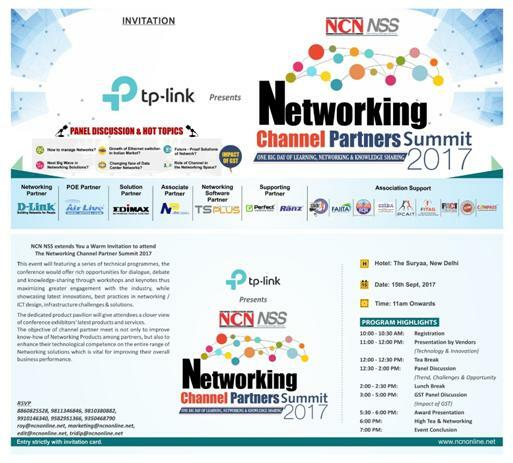 Continue reading Announcing TSplus India Participation in NCN/NSS Networking Channel Partners Summit 2017 at Best Citrix/TSE & RDS alternative - TSplus Blog. NCN or National Computrade News is an Indian IT magazine (online and offline) created in 1999 with the objective of disseminating relevant information about new technologies’ business world. The Networking Channel Partners Summit gathers during one day a sample of unique and ambitious IT organizations to learn, network and share knowledge about the best practices and future developments in networking / ICT design, infrastructure challenges & solutions. A series of technical programs are presented all along the day; through conferences, workshops, and keynotes. The dedicated product pavilion will give attendees a closer view of conference exhibitors’ latest products and services. TSplus has the great honor to be one of the guests. This is the opportunity for Rukshan Sanjeewa to introduce the latest 10.40 release and improvements included, such as an enhanced Remote Printer and a fully customizable Web Application Portal. TSplus is also excited to present its enlarged range with two powerful add-ons, Server Genius and RDS-Knight. These tools can be downloaded and tested for free on TSplus’ website, along with the latest version of the software. The objective for TSplus is also to discover and develop other technological competencies in Networking solutions as well as founding new partnerships, which is vital for keeping TSplus as the best Remote Desktop software and Citrix alternative. For additional information, visit www.tsplus.net/india/english/ or send an e-mail to rukshan.sanjeewa@terminalserviceplus.com who will be pleased to answer you.